Take a trip through the acting world of Red Hot Chili Peppers bassist Flea as Getintothis’ Joe Giess chronicles his cameos and moonlit acting adventures. The man’s bass riffs are as iconic as his diastema, he’s one of the most recognizable bassists in modern music today, it’s Michael Balzary, or as he’s better known to his friends Flea, or maybe sometimes Mike, I wouldn’t really know. The never-ending behemoth of the RHCP is being swept to the sides for today though, today we’re examining Flea’s career on the silver screen. There’s always a crossover with musicians into the film industry, generating that synergy of brand and franchise to propel the image, forcing it into uncharted waters. Sometimes this can be a long standing affair like the astounding 31 films produced with Elvis Presley but sometimes, it’s just a single film output, which can act as a cheap vehicle for a single, i.e. Whitney Houston’s The Bodyguard. The Australian/Americans cinematic output seems to have no rhyme or reason. Has he embarked on this winding acting path for nothing more than shits and giggles to while away the time? Has his acting career amounted to anything more than a smear of grins and questions? His daughters name is Sunny Bepop. Interesting, or relevant? Moderately. He’s got 200,000 bees in his apiary in his backyard. He’s Koko the gorilla’s favourite bassist. Is his life just one big long piece of performance art? Can there be any logic with a man with 200,000 bees? So here I compiled a list of his best acting roles, for the most part for my own interest, but I think at all honesty, just so nobody else has to. The Wild Thornberries, the Nickelodeon cartoon programme that encouraged me to say “smashing” and along with Doctor Doolittle, encouraged me to talk to animals in the street. If you haven’t seen it before, I’ll explain. The family is made up of a bunch of zoologists led by the eccentric Tim Curry, as Nigel Thornberry. The gang tours the globe on animal orientated capers. One daughter speaks to animals, and another daughter is a moody flannel-wearing teenager. They take in Donnie, the L’Enfant Sauvage. A loveable wild card played by, no less than, Flea. Hijinks obviously ensue. Trying to picture the moment in which someone suggested Flea for this role, is something I struggle to wrap my head around; was a mob creative types sitting around watching RHCP Live At Slane Castle? All with a piece of paper and pen in front of him, and the eureka moment clicks. Brett Easton Ellis’ debut gets a hammy film release that stars Robert Downey Jnr with puppy fat and eyeliner. The film gets softened around the edges compared to the brutal novel, but it still has its hard-hitting moments. During the filming, Downey Jnr’s own drug use was spiralling, which gives an unnerving element of viscerality and verisimilitude. 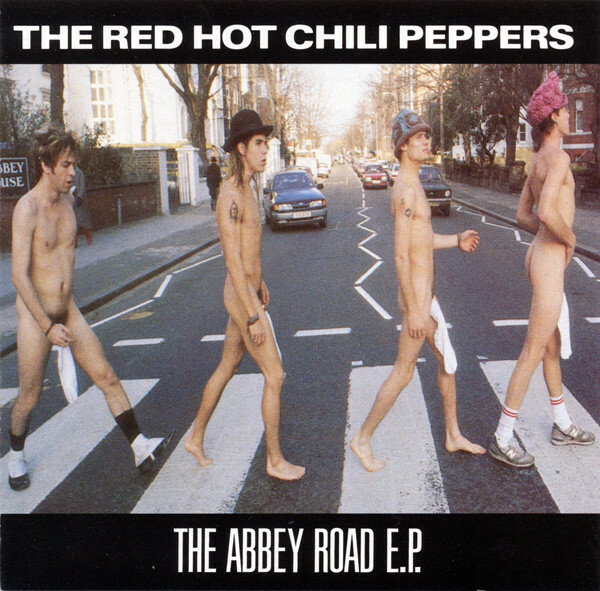 The film was intended to be in the same vein of the slew of others like Thrashin’ in which RHCP are playing in the background of the scene, but the majority was cut by the studio big wigs who deemed the group unsightly. The ghost of Flea lives on in the credits as Musician 3. Still better than Wild Thornberries tho’. Weirdly enough, this is the first time I remember thinking, is that Flea? I think if this article was written by anybody else, they would come armed with a great story about watching it in a squat, with Flea present and probably tickling he/she with bass strings all the while, but unfortunately, I do not. For an LA punk for dummies it’s great. Energetic live performances featuring D.I. and T.S.O.L. It gives a young Alex Gibson a platform for his composition on the soundtrack, the same Alex Gibson, who then gone to win an Academy Award for his sound editing work with Christopher Nolan. Honestly, I’m giving this unabashed praise, but I have never re-watched this film. Still give it a go! The second Gus Van Sant project on this list, but we’ll come to that later. The much-slated remake of Psycho has all the trimmings of a cult classic, but has just bobbed underneath the surface of recognition. Gus Van Sant takes a stab (ahem) at the horror classic, with a shot-for-shot remake. It allegedly made to encourage the director’s daughter to watch the film, as she refused to watch the black and white version, but unfortunately the rest of the world refused to watch Gus Van Sant’s version. It’s celebrity cast proudly presents William H Macy, Vince Vaughn, Julianne Moore and obviously Flea. Flea crops up as the oblivious counter clerk who gets grilled for the finer points of bug spray but, apart from this inspiring moment, the film lacks chemistry that kept the original so terrifying. Make it of it what you will. Baby Driver is a good example of the cheeky vacant hoodlum portrayed by Flea, but now much older. The squinting Marlon Brando had a taciturn drawl and a bad attitude. Flea is the vacant thug, who has eyes like the inside of the Hadron Collider. The thrilling, toe tapping supernova of getaway movies and choreography was allegedly motivated by both The Driver and Grand Theft Auto, the video game, in equal amounts. I did naively think this could be Flea’s Punch Drunk Love moment, but no, he either asks questions in a humourous manner or looks quizzical in an amusing way, which is, let’s face it. Is what Flea is best at. I should stop being so critical. It’s a great film all. Countless times I’ve seen this film. Then I think, he’s not really that good in it is he? It’s not like he whistles and 200,000 bees turns into a pneumatic drill aiming for Keanu Reeves. He just swoons over William Richert, who plays as Falstaff. Enjoyable, but a charmingly pretentious film. I’m not going to explain it, aside from saying it’s Shakespeare’s Henry V in the 90’s with narcolepsy. When I think about this cameo it makes me laugh for really tasteless reasons. Flea with his regular outfit had fired off One Hot Minute, which critically, was a bit of a stinker. On the album Kiedis whines in that mawkish way “My friends are so depressed!” and at the same time, John Frusciante is in a slump of selling everything he owns and trying to dig a hole through his arm with needles. The album was so such a flop, that they fire Dave Navarro from Janes Addiction, as they realise, he ain’t no Frusciante. The band themselves were in a bit of a rut. So what does Flea do? He says to himself. “I know. I’ll do one of those mad cameos I’ve been doing for the past 10 years now. That’ll cheer me up.” So he does. He pretends to a hippie, and rubs his gums and licks some dusty LSD off Johnny Depp’s flannel jacket in a bathroom. I mean, it’s not just me, is it? As we’ve seen before with Donnie Thornberry, everybody’s favourite parasite is no stranger to animation, so we it came to making the big animation blockbuster of 2015 that starred everybody from comedy queen Amy Poehler, to Twin Peaks star Kyle MacLachlan, the invitation would have to extend to the king of cameos, Flea. Mind Cop Jake is not one of Flea’s most iconic roles, and it barely gets mentioned in his filmography, but it does both fit the bill of Flea looking quizzical in a humourous way and asking questions in an amusing fashion. Did Needles jump-start Flea’s weird mediocre acting career? Probably. Its Flea, stepping out of psych/punk drugged fuelled haze into something a little bit more commercial, with a string of albums starting with Mothers Milk with the arrival of wunderkind, John Frusciante on guitar. Evidently with this breach into the mainstream, Flea has needs to be making films to that suit this career change. This cameo in Back To The Future 2 shows one of Flea’s most fleshed out roles, in which he coerces Marty McFly to join in a business proposition. It’s charming, and memorable in its own way and adds to the enigma of Flea. Overrated? Probably, but I still rate it. Julianne Moore, John Tutoro, John Goodman, just memorable performances all around, but you know what really gets me? The dream sequence. The best thing I find about this, is the man who passes over the bowling shoes to The Dude is Saddam Hussein, right? This man’s actual acting career has consisted entirely of being Saddam Hussein. In Hot Shots! Hot Shots! Part Deux, and then in Mafia he plays Saddam Hussein, then finally in The First 20 Million is the Hardest. (I’ve never heard of it either.) He plays a Hologram Hussein. It’s incredible. Just Google him. But, back to Flea. Flea once again, is outstanding at silently staring, looking both militant and bellicose. Is this just in an attempt by the Coen Brothers to cash in on Flea? Saying that his suit sold for £2,380 at auction so.. There we have it! All his capers and crimes on the silver screen with bite size incentives to watch them. Come back to me and tell me I’m wrong.